Demand for inner-city properties continues to be strong, with a development site in inner-city Abbotsford selling for $13.001 million. 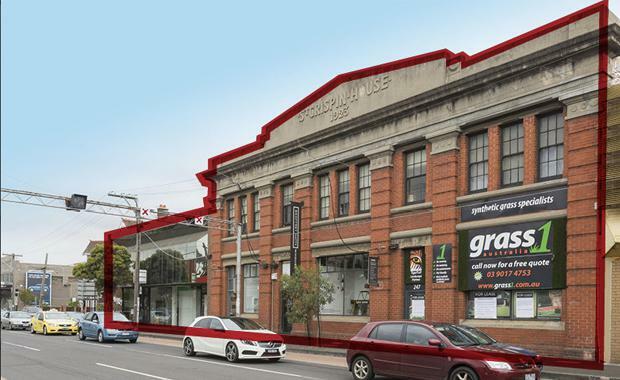 The two-storey building at 247-259 Johnston Street was sold following an Expressions of Interest campaign. The 2,171sqm site was offered with a development scheme for a 15-level mixed use development. The property offers dual street frontage and is just 2km from the city centre and is less than 100m from the Victoria Park train station. The sale was negotiated by CBRE's Victorian development team, Mark Wizel, Julian White and Jamus Campbell; in conjunction with Paul O'Sullivan from Lemon Baxter. Mr Wizel said local developers were undeterred by any planning uncertainty attributed to the lack of planning permit, and bid strongly based on the confidence they had in achieving significant height on this property. “Developers of sites such as these are willing to sacrifice some profit margin in their feasibilities, on the knowledge that they can sell the apartment product quickly and at high rates,” said Mr Wizel.